These deer have no natural predators and grow to a large size quickly on the lush grass of this northern Pacific island. Though a small deer (B&C all time is 108), they are very attractive and a lot of fun to hunt. 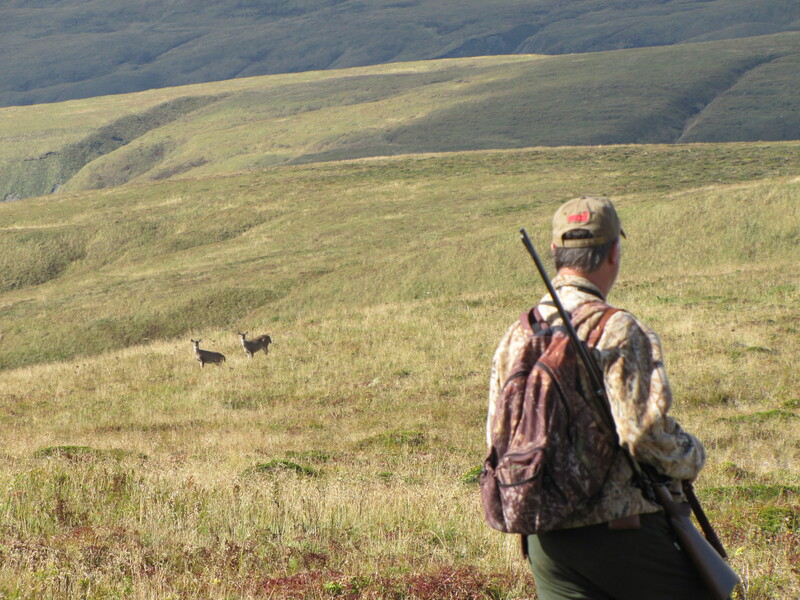 You will see many deer during your hunt and be able to pick though the bucks to find the one you like. Then you can shoot another! Hiking is relatively easy by Alaska standards and the pace can be as laid back as you like. There are lots of deer! Fox and ptarmigan are also abundant and may be hunted.